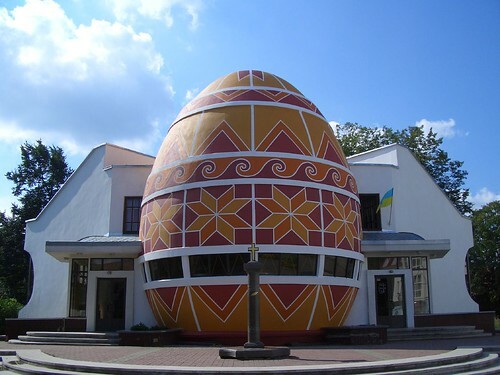 World's Largest Easter Egg is a unique building in the city of Kolomyia, Ukraine, and is shaped like a giant Pysanka (Ukrainian Easter egg). 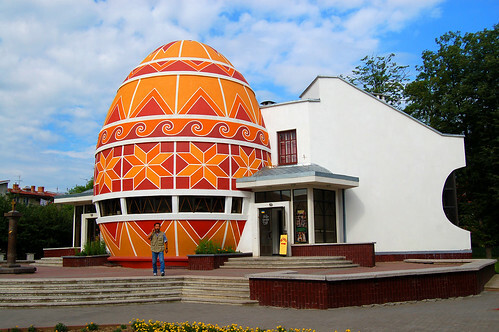 Built in year 2000 it is not only World’s largest Easter egg but is also the only museum in the world built specifically to preserve and showcase the Pysanka - An egg painted with the wax-resist (batik) technique. The city of Kolomyia has a long tradition of making colourful Easter eggs and preserving the same. The museum was earlier located in a local church but finally in 2000 this museum was built and specifically dedicated to Pysanka. 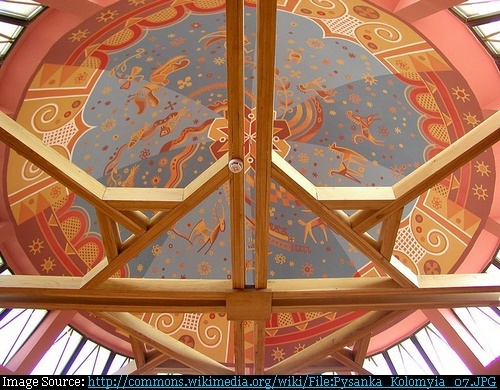 The museum is not only shaped like an egg (14 metres in height and 10 metres in diameter), but parts of the exterior and inside of the dome are also painted to resemble a Pysanka. The building, a brainchild of Museum Director Yaroslava Tkachuk, was designed by local artists/architects Vasyl Andrushko and Myroslav Yasinskyi. Presently the museum has collection of over 10,000 Easter eggs which include but may not be limited to pysanky as well as decorated eggs from other Slavic countries (Belarus, the Czech Republic, Poland, Romania) and more distant lands (Sweden, USA, Canada, France, Pakistan, Sri Lanka, India). Image from Flickr is by mia!